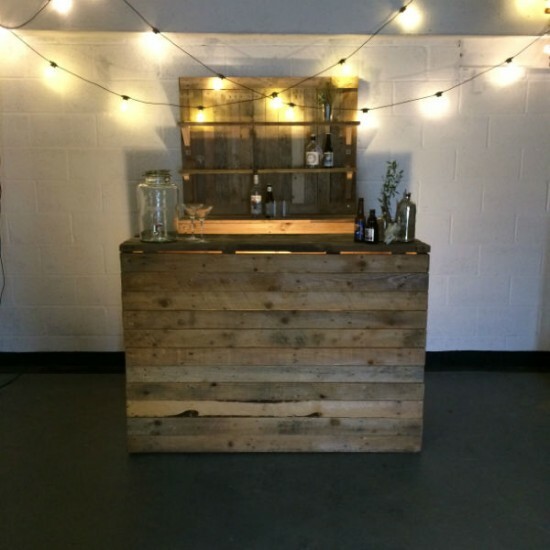 Our wedding bar is available to hire for your special day. 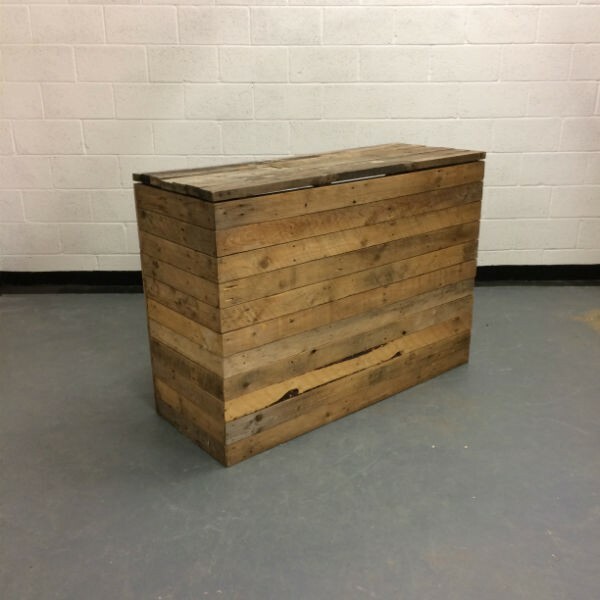 It is handmade from reclaimed pallet timber with a solid, rustic reclaimed timber top. 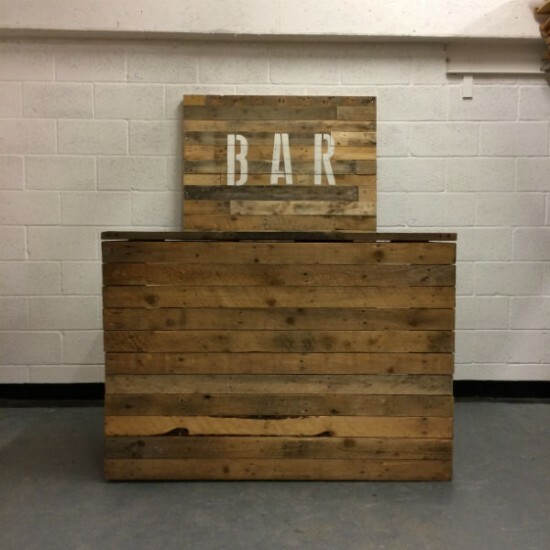 It is 1.5m in length, 1.1m in height and 55cm in depth with a large internal storage space with a single removable shelf. 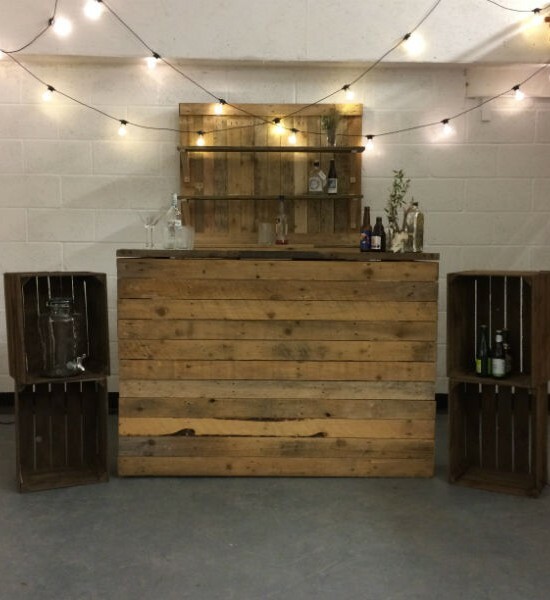 Wheels can be added to the bar on request to make it easier to move around your venue. 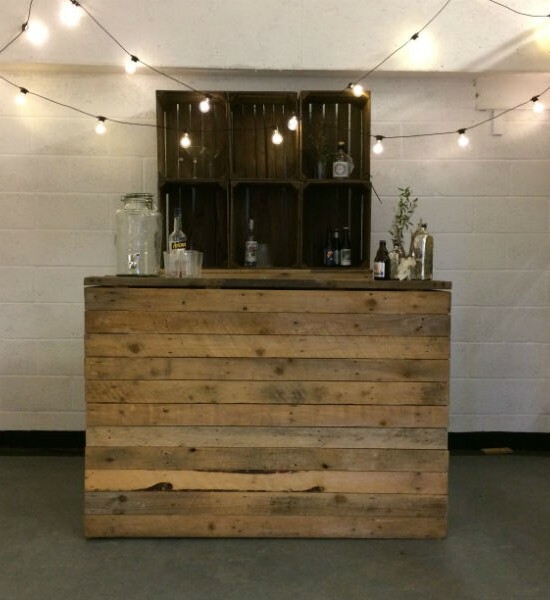 To add that something speical to your evening the bar can be lit up from the inside (for when the party really starts!). These lights can hired as an extra. 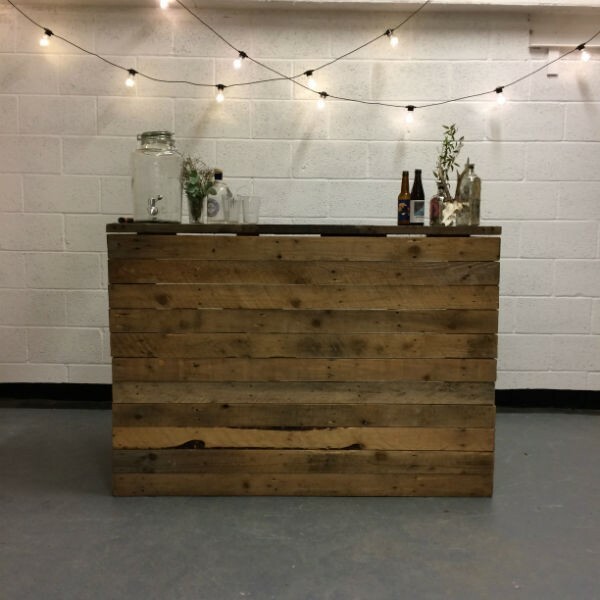 The wedding bar can also be hired along with festoons, wooden crates, back bar shelving and a reclaimed timber backdrop.